You have a great rotation scheme! wonderful progress on my lovely sewing tools. Is it stitched on 32 ct or even smaller? The fabric for the coffee fairy is gorgeous, but isn't it difficult to stitch on? I guess you need more concentration with that 'mad' fabric. Hi Jo - I'm a new follower so thought I had better come out of "lurkdom"! 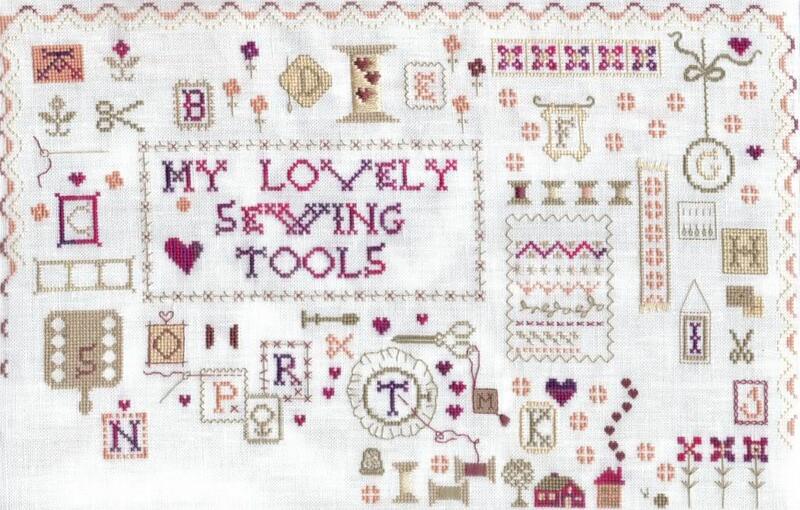 Love all your pieces - My Lovely Sewing Tools is on my very long to-do list! Can't wait to see more of Coffee Fairy - that fabric is awesome! Oh, how cool to do a sponsored giveaway! My Lovely Sewing Tools must be really close to being done now, right?? That is some crazy fabric for Coffee Fairy! I bet it'll look great. Have you ever seen the musical "How to Succeed in Business Without Really Trying"? There's a great number in there called "Coffee Break"...it's alternately coffee-starved-slow and caffeine-induced-frenetic! Hi Jo, Great progress on My Sewing Tools and I cannot wait to see your progress on Coffee Fairy on that really interesting fabric. Looking forward to the giveaway. I have just noticed your list of finishes for 2012 - 20 already - impressive! 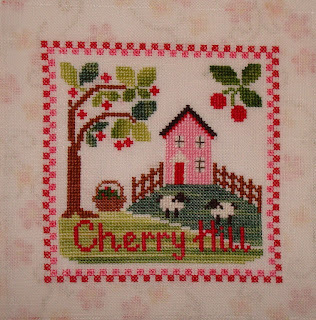 I love your Cherry HIll Cottage and I hope that you post a pic when it is scrapbooked. I keep thinking about that as an idea for finishing but I have not really got into scrapbooking and so I wonder whether I really need to be starting a new hobby? Enjoy your extra stitching time with small boy at Preschool. Great progress on Sewing Tools. That fabric is quite wild. Looks like it would be hard to stitch on. Love the finish your doing for Cherry Hill. 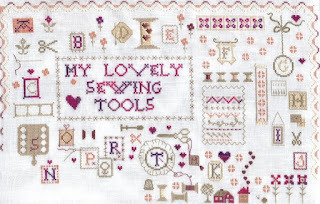 Oooh... That fabric certainly is a little crazy but in a very pretty way ^.^ You've made wonderful progress on stitching tools :) Love the paper you're using as a backdrop for Cherry Hill. It's perfect! 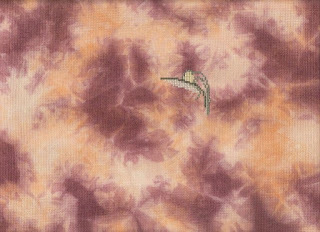 The coffee fairy fabric is amazing, but I think I'd go cross eyed trying to stitch on it, good luck! All your projects look great. The fabric for Coffee Fairy is wonderful it really draws the eye to it. I usually get the JCS Christmas ornament magazine as I love looking at all the different projects. I stopped getting any English ones a few years ago as I felt the designs were getting a bit samey and I never managed to stitch any. Lovely progress on your pieces Jo. Love that fabric you've chosen for Coffee Fairy. Can't wait to get my JCS mag. I look forward to getting it everytime. I think it'll be sometime next month when it arrives at the newsagent. I'm usually about a month behind it coming out in the USA. 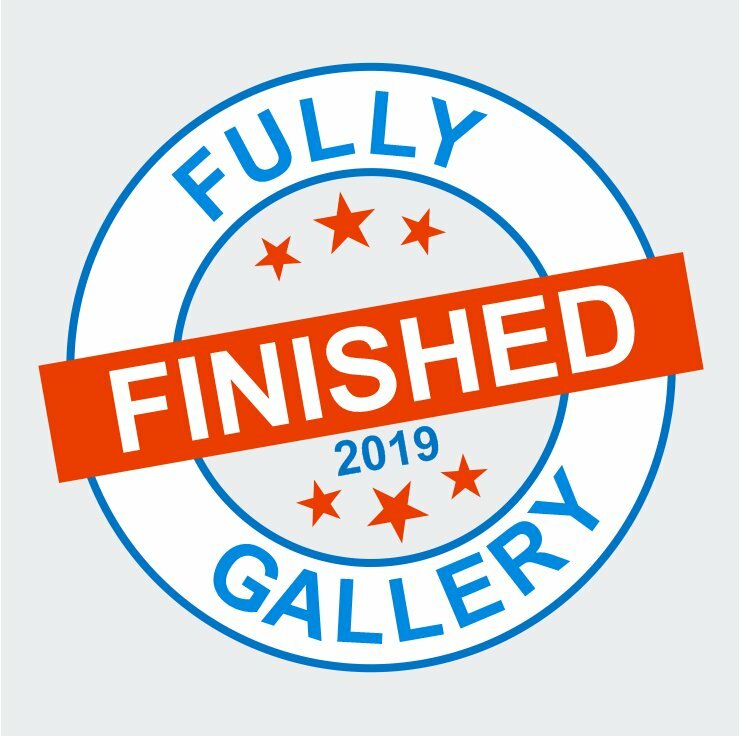 Congrats on the finish! 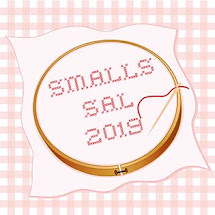 It is so cute, and I am looking forward to seeing how you finish it! Lovely progress on My Lovely Sewing Tools and the fabric for Coffee Fairy is just gorgeous. I like the way you are planning on finishing Cherry Hill too. Wow, what stunning fabric, that's going to be challenging. Challenge stitched here, just need inspiration to make it up before Sunday. Sewing Tools is looking fabulous. 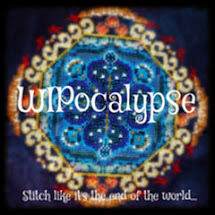 Love your stitching, of course, but ADORE your rotation list :) How is it any of us finish anything with the 40 projects we have going all the time?????? Great progress Jo, looks like you got a lot done! Cherry Hill looks so cute too. Looking forward to the giveaway, good luck for reaching 200 followers! I only wish I could see your pictures. All I get is a check box with a red X in it. Are you doing something differently? I've always seen your pictures in the past. Love that fabric! I don't think I have anything to stitch on it, but I am a sucker for colors! Oh yes, the first uninterrupted stitching time - I remember it soooo well. Just Cross Stitch runs hot and cold for me. Actually just as I get ready to cancel my subscription because I haven't seen anything in ages they suddenly put out two or three issues that I love. 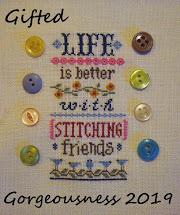 hello deary, thank you so much for such a sweet welcome and lovely comment on my blog..you made my day..i am so happy that you all with me my dear friends..
You were so clever with your variegated thread for the cottage. It is such a quaint design. The fabric is madly fantastic for The Coffee Fairy. I will be watching closely. I love that fabric. It doesn't need to be stitched on, just frame it as modern art! I can't wait to see the progress on it. How lovely of yiota to sponsor a giveaway. Please enter me for it! Cherry Hill and My Sewing Tools look great too. I keep thinking about printing off the first part and starting it, after all I really need another new start...NOT!